Line 6 has continuously sought out new ways to improve their line of modeling guitars – the James Tyler Variax line, and now they’ve brought out the next major feature. 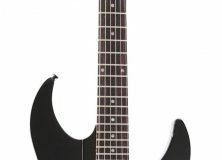 Behold the JTV-89F, the first Variax to feature a licensed Floyd Rose tremolo. This seemingly innocent add-on is a gateway to bridging the gap between one guitar and the next. What Les Paul sought to create with his Gibson Recording model guitar, Line 6 has taken to heights no one could have foreseen in his era. To put into perspective what the addition of the Floyd Rose means to the Variax, let’s first look at what the JTV-89F offers us. The new Variax is a solid body electric guitar designed to look and feel like the super Strats commonly found in heavier styles of music. 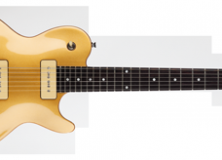 Like its predecessors, this model is capable of replicating the sounds of various generations of Stratocasters, Telecasters, Les Pauls, and even acoustic guitars, banjos, and sitars. And that’s just the tip of the iceberg. 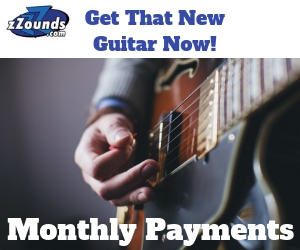 The Variax offers preset tunings as well as the ability to customize tunings that you can save and retrieve on a whim. Naturally, the JTV-89F also incorporates USB – so you can plug it into a computer to transfer preset guitar models and custom tunings to your computer or – by the powers of Line 6’s software – tweak your own gear setup on your computer and load it back onto the Variax. The standard JTV-89F is available in black and blood red. Line 6 also offers a US Custom Series model of the JTV-89F that provides more leeway in paint finishes. So what does the addition of a Floyd Rose do for the Variax? It further closes the gap on what the Variax can do for a guitarist making it not only a jack of all trades, but a master at the same time. Think about it. Have you ever wanted to do some crazy dive bombs with a banjo? How about some whammy windmills with a sitar? These are certainly options that at best you’re hard pressed to find anywhere else. That taken into consideration Line 6 has developed a true all purpose guitar for both stage and studio. The Floyd Rose installed on the JTV-89F is a licensed, double-locking tremolo developed by Graph Tech. 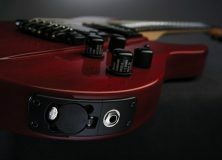 The bridge is custom-designed and includes built-in piezo crystals that translate the Variax’s tone and dynamics. These piezo crystals are built inside of the rust, corrosion, and perspiration-resistant “Graph Tech String Saver” saddles. Line 6 Vice President of Product Management Max Gutnik states that they’ve had an increasing demand for a Floyd Rose model Variax – the answer to this call is the Line 6 JTV-89F. Line 6 James Tyler Variax Guitars. Need I Say More?